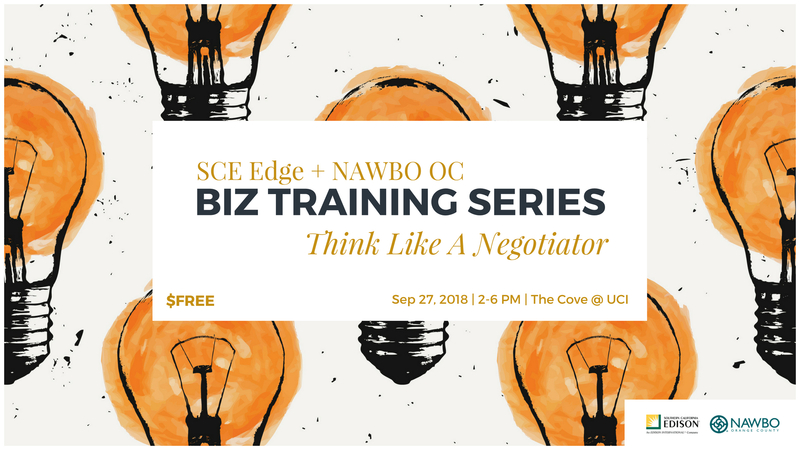 This Business Development Training Workshop is the third in a free, 3-part workshop series presented by SCE and NAWBO OC. “Think Like a Negotiator” will train particpants how to think and operate like a negotiator in all types of contract situations. This workshop is presented by Eldonna Fernandez from Dynamic Vision.